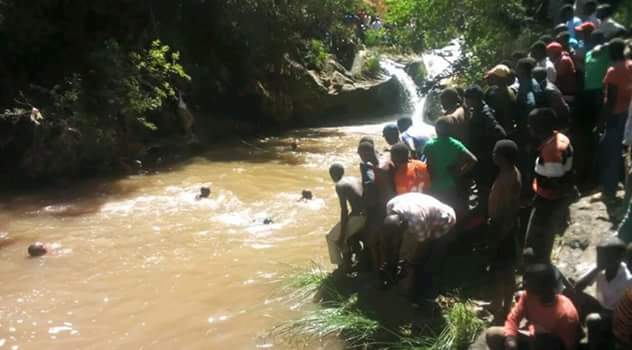 A 23-year-old Kabarak University graduate drowned after he slipped and fell into Molo River in Lelechwet Sub-Location, Rongai Constituency in Nakuru County on Friday evening, December 29, during an adventure walk with friends. The deceased, Elvis Keter slipped into the river when he was taking phone selfies with his friends on the bank of the waterway. His friends unsuccessfully tried to rescue him, given the depth of the river, which is estimated to be 20 feet deep. The body of the ex-Kabarak University student, who graduated in 2016 with a Bachelor’s Degree in Computer Science, is yet to be retrieved. The deceased was the second born in a family of five siblings. Divers from Nakuru County disaster response unit arrived at the scene at 1:30pm Saturday. Keter’s father Henry Kilel eulogized his son as a hard working person, who had passion for education. Kilel learnt of his son’s death while at Salgaa trading centre on Friday evening. He recounted spending time with Keter on Thursday, December 28 at 2pm before he (Keter) left in the company of his friends. “I received news about my son’s death at 7pm Friday while at Salgaa trading centre. The news broke my heart,” he said. Keter’s mother, Esther Wanjiru Kilel, said she had high hopes that her son’s future was going to be bright. Keter had received a phone call from Haco Limited Friday afternoon (December 29) informing him that he had secured a job with the firm and was expected to report on January 4, 2018. “My son revered education. He also liked people, he liked everyone. He was the head of the youth in Migaa area. People liked him too. He was a good young man, whom we raised in a Christian setting,” said Mrs Kilel. Chepseon Sub-Location Assistant Chief John Keter urged Nakuru County Government to fence off the section of the river so as to avert similar tragedies in future. A friend of the deceased, Alvins Ng’eno recounted the last moments they shared before he died tragically. Ng’eno revealed to eDaily that he, Keter, and Keter’s two female friends embarked on adventure walk to Molo River Friday afternoon, after Keter told them that the area around Molo River had a panoramic view, which would create breathtaking pictures. Ng’eno said Keter called him on phone some minutes to 2pm, and requested him (Ng’eno) to go pick him from his friend’s place. “We, thereafter, went to Keter’s home, where we met his father before proceeding to a waterfall, where Keter had planned to have a photo session. That was around 5pm,” said Ng’eno. “While we were at Molo River, Keter told us to go to a higher ground, away from the waterway, where we could take pictures with the river in the background. “We took several selfies. During that process, my cell phone rang. 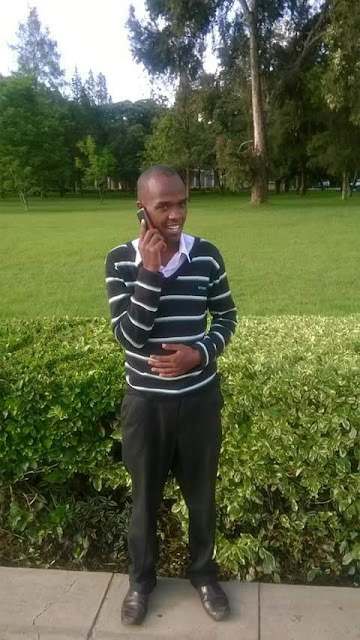 As I was moving away to pick the phone, I heard Keter asking one of the ladies, Purity, to take a picture of him alone. He moved a step back. It is at that point that he slipped and fell into the river. “Purity started screaming. When we looked into the river, I saw his head and hands emerging through the water surface. A few minutes later, his body was fully submerged in water. The incident happened at 5:30pm.When I was preparing to jump into the river to go look for Keter, residents, who had now gathered on the banks of the river, warned me against doing that, saying the river was too deep hence dangerous,” said Ng’eno. Confirming the incident, Chepseon Sub-Location Assistant Chief John Keter urged Nakuru County Government to fence off the section of the river so as to avert similar tragedies in future. “The section of the river where the young man fell is too deep – more than 20 feet deep. This river has claimed the lives of many people, who’ve drowned in separate incidents. Many families from Elburgon to Rongai have lost their loved ones in this river. We urge members of the public to be careful when taking pictures on the banks of the river. The county government should fence off this section of the river; and if relevant authorities want, they can label it as a tourist attraction because a lot of people like taking pictures at this spot,” said the administrator.